An 18-year-old man allegedly tried to rob a 42-year-old man at knifepoint at a Morro Bay motel Tuesday night, resulting in a fight that left the victim hospitalized. Shortly before 9 p.m., Armando Benjamin Ayala, 18, tried to rob the victim at the Fireside Inn at 730 Morro Avenue, according to police. A fight ensued, and both individuals suffered injuries. 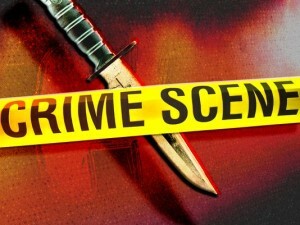 Officers arrived at the scene and recovered the knife. Emergency responders transported both the victim and Ayala to Sierra Vista Regional Medical Center for treatment. Hospital staff admitted the victim. The extent of his injuries is unclear. After Ayala was taken to the hospital, officers arrested him and booked him into the San Luis Obispo County Jail on charges of assault with a deadly weapon and attempted robbery. Ayala remains in custody with his bail set at $60,000. The investigation into the case is still ongoing.